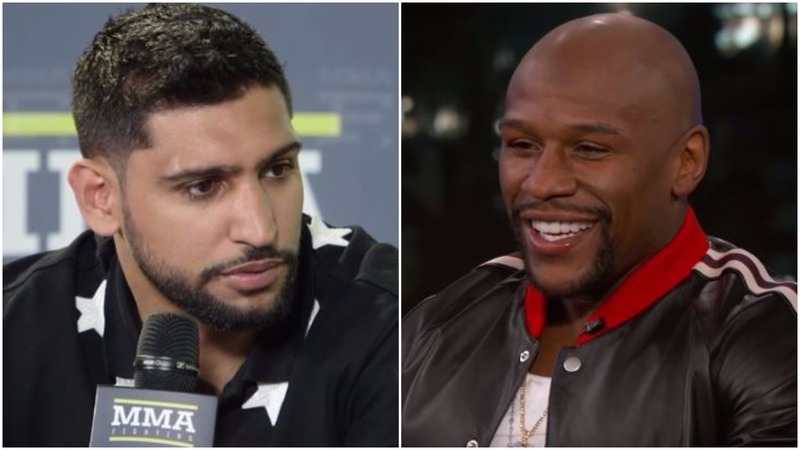 Amir Khan on why he thinks ‘Money’ never got in the ring with him – speaking ahead of Mayweather vs McGregor. British boxer Amir Khan is out in Las Vegas this week for the Mayweather vs McGregor fight week after a torrid year for the Bolton man. It’s been a year that has seen him not box once amid many public fall outs involving his wife and family. The last time Khan boxed at this stage is still May of 2016 – when he was knocked out cold against Mexican fighter Canelo Alvarez. Khan appears to be in better spirits this week as he’s been doing the media rounds in Vegas to give his take on the Mayweather vs McGregor fight. Like many in boxing, Khan thinks Mayweather wins the fight easy. Mayweather at the time a few years back did an online social media poll asking the public who they’d like to see him fight. Although Khan won the poll – the elusive Mayweather fight never quite materialized for him.